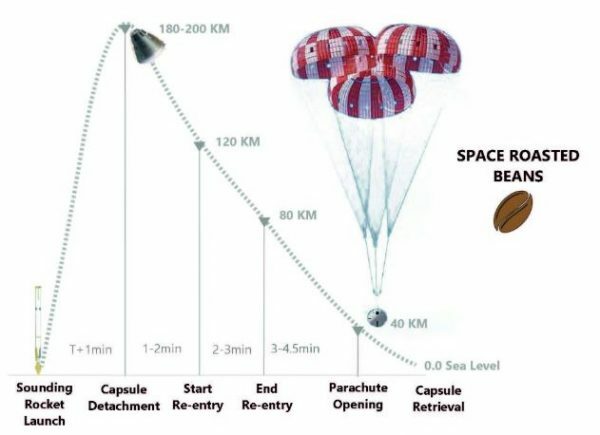 They plan to launch a capsule loaded with coffee beans and their roasting technology, blasting up to over 300km (186 miles) up, roasting the beans in zero gravity, then safely returning them to earth. The project has been started by Hatem Alkhafaji and Anders Cavallini, both sporting Master of Science degrees as well as backgrounds in engineering and architecture. Wether the idea is a gimmick or a serious effort to develop technologies in space, remains to be seen. Their goal is to revolutionise coffee roasting using space technology, which feels like a very bold claim. Coffee beans will be roasted partially using the heat from the thermal protection system, allowing heat from entry/re-entry of the space craft to heat up the beans. This isn’t the first time we’ve seen coffee in space, however. In 2014, the “ISSpresso” was created by Argotec and Lavazza in a partnership with the Italian Space Agency. 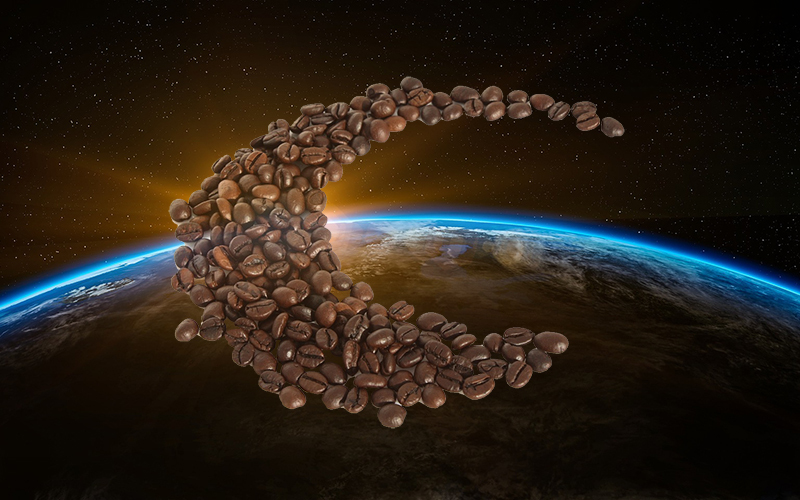 The first espresso consumed in space was by an Italian astronaut Samantha Cristoforetti on the 3rd May 2015. Specially designed, the ISSpresso needed to be able to withstand the forces of space launch, as well as brew and dispense coffee in microgravity. Astronauts are able to choose from a short black (30 ml), long black (60 ml) or a hot drink (tea or broth, 120 ml). Space Roasters aims to achieve space roasted coffee beans by the year 2020, and serve it back on earth that same year. Long term the plan appears to be to offer a space-roasted coffee bean, which sounds like a very interesting idea!